We have interviewed Arthur Guelton, co-founder of Find & Order, an indoor guidance solution for retail and supply chain businesses. In this article, we return to the creation and characteristics of this pioneering application. Find & Order is a 3D mapping solution combined with an indoor guidance system. The application is available on operators’ business phones and allows operators to view the 2D or 3D map of their work surface, whether in retail or supply chain, in warehouses for example. The interest for operators is to be able to identify the location of products or pallets more quickly and effectively and thus be more efficient in setting up their picking actions. What do we mean by “picking”? Picking is the action performed by operators of a supermarket or warehouse to gather several products to create a customer order, whether in B2B or B2C. It is essential to optimise picking to respect the rules of weight and volume while maximising the productivity of the operators in charge of this action. To this end, Find & Order offers a real-time mapping of the picking area and gives operators a route that allows them to comply with management rules, in particular by integrating the weight and volume parameters of packages or products, while being more efficient in picking operations and the distances to be covered. The first service designed by the company consists of a market-place allowing consumers to find their way around a hypermarket, for employees to be guided in offices or for visitors to find their way around shopping centres. More B2B2C oriented, this solution is still proposed by the start-up. And it was this first commercialisation that enabled the founders of Find & Order to move towards the solution we are presenting to you today. As we indicate in our white-paper on market research, it is essential to identify your competitors and analyse their products, services, careers and their share of the market. It is on this model of analysis that Find & Order has based its desire to differentiate itself. Indeed, it appeared that their competitors’ proposals remained basic and focused mainly on the functional side of such applications, without really taking into consideration the renewal of the experience, constituting “the tip of the iceberg”. The interest for Find & Order was, therefore, to unfold the map and make it more sophisticated and more precise to differentiate itself by the quality and technology used. The first target remained consumer-oriented. However, Find & Order has been able to talk about its idea to customers, at trade fairs and on various occasions. After 15 years of experience in market research, we are forced to realise that most entrepreneurs with an ingenious idea are often afraid to talk about it to those around them. We can only advise everyone to propose their ideas to others. Otherwise, project flaws and opportunities for improvement will not be detected. Arthur Guelton explains that the start-up is very exposed: “we expose (…) our idea on different segments”. 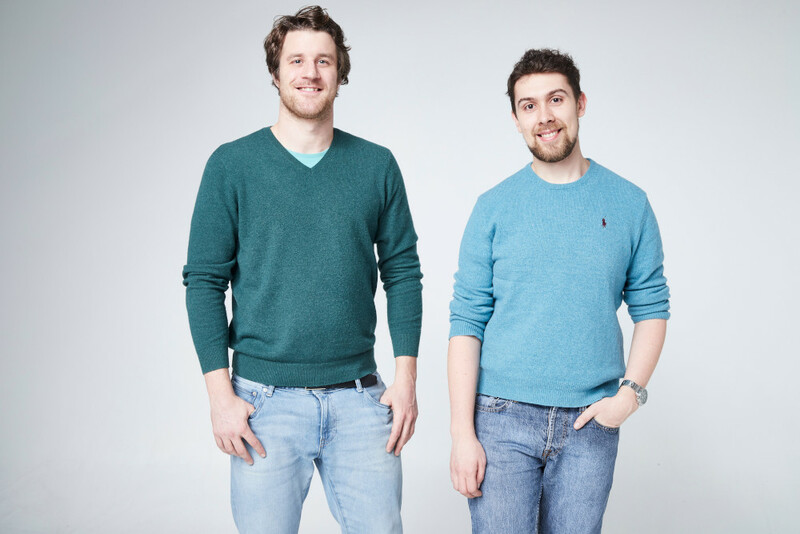 It is in particular thanks to their ability to communicate their ideas that the founders of Find & Order were able to detect that the need for such a solution was not concentrated on consumers but could also be of interest to significant retail and logistics service providers. The solution that combines mapping and geolocation uses a video game editor tool based on 2D plans of buildings to create the space map, and magnetic fields to locate products and objects according to their location. The magnetic field is the signature of a building. In contrast to conventional geolocation, which discloses essential and omnipresent data, the magnetic field has an influence on the environment and is measurable, especially indoors where each element will form a distortion of the magnetic field and allow the creation of a unique, specific and therefore exploitable value. Each wall, staircase and piece of furniture emits a magnetic field that is unique to it and can thus be distinguished, measured and analysed. Thus, the magnetic field becomes the positioning reference frame for all objects in the surface to be covered by Find & Order. This solution, in contrast to solutions such as Wi-Fi or Bluetooth, does not require any hardware installation such as bollards or beacons and can increase its accuracy to within 30 cm. In partnership with robotics experts, the solution is managed by the Orléans-based company that developed the robot capable of capturing and analysing the magnetic field and who are working with researchers at the University of Orléans to ensure that they are always at the forefront of technology. For their part, the Find & Order team is in charge of the software itself, itinerary optimisation, managing the installation of the solution on the customer’s premises and marketing the solution. An excellent example of synergy between two companies and two significant complementary skills. This solution can mainly be installed in the retail and supply chain sector. In the field of guppy chain and logistics, there are indeed many rules to follow when constructing a pallet (weight, volume, etc.). The Find & Order tool thus proposes to guide operators from the reception of their supplier pallets to the classification and dismantling of these pallets, as well as the constitution of their pallets for their own customers. The pallets from supplier A arrive in the warehouse. They must be stored. Then, it will be necessary to create a pallet for customer D. This customer needs packages from suppliers A, X, B, H and K. Operators must, therefore, collect these different packages from the many aisles of the warehouse while taking great care to comply with the rules of weight and volume. All these steps are supervised by the Find & Order application, which allows the follow-up of the entry and re-shipment of goods while taking care of the culmination for large warehouses, that is to say, optimising the internal operations of the latter. The first tests were carried out at Leroy Merlin, Casino, which we will discuss in more detail, shopping centres and even in the Paris airport between now and April 2019. The installation at Casino is similar to the operation of the logistics solution. Of course, the map of the store is created, and the different magnetic fields are detected. 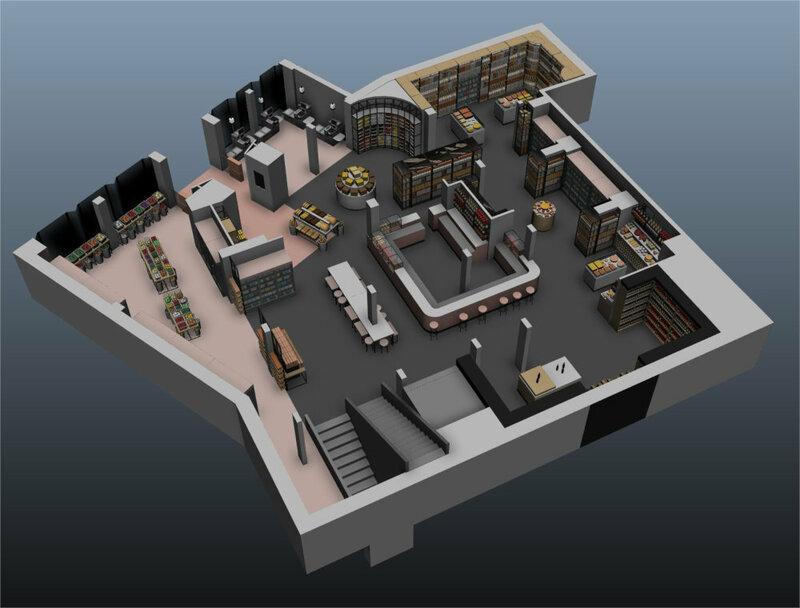 Then, the objects are referenced on the map according to their positioning in store with the final aim of seeing the 50,000 product references present in the Pessac hypermarket appear on the map. Thus, each product has its own satellite coordinates within the building that operators can activate by scanning a product’s label. The objective of this solution is to optimise picking operations, in terms of time, distance and above all by ensuring the conformity of the baskets (heavy and bulky products at the bottom of the basket, frozen products that are collected last, and so on). In France, the success of the Drive is leading hypermarkets to hire more operators to prepare orders. Also, picking is carried out directly on the store shelves, where operators are confronted continuously with changes in the location of products, which encourages hypermarkets to want to optimise picking actions. In contrast, in Belgium and the Netherlands, most orders are prepared in phantom stores that are not open to customers. Operators are therefore only slightly impacted in their tasks by the movement of products. Product movements, as well as the high turnover rate among picking operators, encourage hypermarkets to find solutions to improve and expand their operators’ training by providing fast, efficient and monitored training and onboarding. Indeed, operators are guided by the step-by-step application. They have a list of products they select. The app then sends them to product 1, and when they have recovered it, they can move on to the next product until they have completed their picking action and thus their list. Funding of €500,000 until the end of 2018. 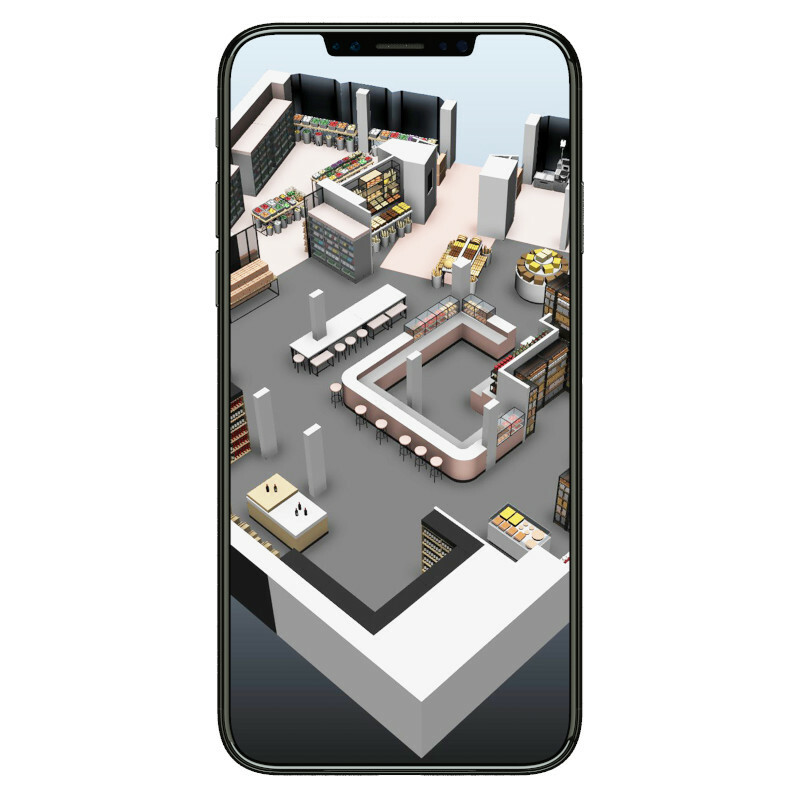 By the end of 2020, Find & Order’s ambition is to develop a supply chain and retail tool that simplifies customer orientation in shopping centres and hypermarkets while optimising hypermarket operations, thus integrating productivity gains and improved merchandising. The generation of a new source of revenue is being studied with the possibility of monetising data related to the locations of certain products to allow brands sold in stores but also hypermarkets to improve their product positioning strategies. In terms of personnel, the objective by the end of 2020 is to employ 40 people around this project and to record 2 million euros in turnover. The vision for 2020 is also to seek to incorporate new technologies into the existing solution. Indeed, the most complicated thing for the company is to adapt its robot and its answer to the model of retailers and supply chain actors. Once the solution is in place, there is a lot of room for improvement. The objective would be to accelerate set-up and services and increase services by combining the magnetic field with visual recognition or lidar, similar to the model used by autonomous vehicles, for example. In particular, adding additional technology would allow economies of scale by moving faster and at a lower cost. Also, adding a camera to the robot would make it possible to evaluate not only the positioning of products but also the condition of shelves and aisles. Find & Order is, therefore, considering many possibilities to broaden their scope of action.